The Transitions2017 day conference took place on 29/3/17. For many years the RCGP Vale of Trent Faculty has hosted this spring time event for ST3 GP Registrars with the aim of preparing our new GPs for the world of work and life after GP training. The event covers a range of non clinical topics ranging from resilience and technology to managing your finances and revalidation. This article describes how we built on our recent tradition of innovation at this event. In particular, we are proud of our use of low cost video and web products to make the experience of the day available online, free of charge for existing and future GP trainees. We are also proud of our filming on the day for our “Choose GP, Choose Vale of Trent” promotional video. Click here to view the Transitions2017 event programme. We introduced our first of it’s kind (to our knowledge) GP Speed Dating recruitment event. As in many regions, practices in the Vale of Trent can struggle to find GPs. With over 70 new GPs about to finish training, together in one place, we couldn’t resist inviting practices from across the area who were in need of new GPs along to a Speed Dating style recruitment event. The event drew the attention of PulseToday and GPFrontline and you can read more about it here. We also extended invitations for the event to include First5 GPs. The day is a great opportunity for for First5 GPs, particularly those new to the area, to meet other new GPs and connect with the faculty, practices and other local support organisations. The successful addition of lunchtime GP Speed Dating to our annual Transitions conference demonstrated how established events can provide a great opportunity to experiment with new ideas and also the critical mass of delegates and concentration of resources required to make them a success. With a little additional creativity and effort, and combining several innovations together, existing events can be enhanced to deliver much more value and impact for our members, addressing a wider range of their needs. We promoted the event on Twitter and Facebook. This was a great opportunity to improve our use of social media platforms. Many members of the Faculty Board were introduced to these platforms for the first time. We were driven to develop our Facebook Page (LINK) and Twitter presence, and formalise our procedures for publishing and using these channels. We have since been using our social media infrastructure to promote other faculty events and messages. Making our event promotional video was a great way to familiarise ourselves with the video equipment to be used on the day. We wanted to capture the atmosphere and content of the conference and make it available for delegates and others to view online after the day. This extended the benefit and impact of the event beyond the day itself. It was important to us that we used low cost and free resources to showcase what can be achieved at a very low cost. The experience of filming and editing gained by the faculty will be a useful asset in the future. Videos from the day can be viewed on our Videos and Talks page. Sometimes things that feel cutting edge are more accessible than you think. 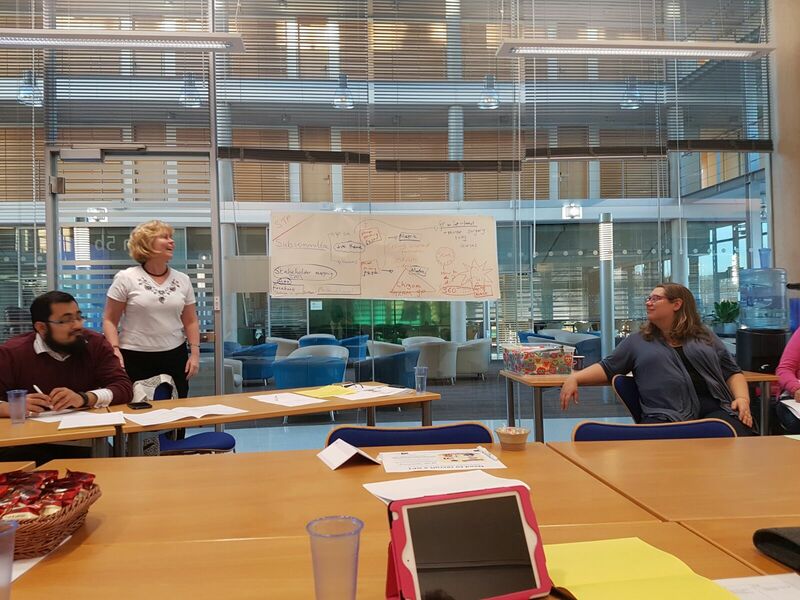 Being a group that encourages members to experiment with exciting new technologies and also gives them a place to do this, can encourage people to get involved with the faculty and in organising events. Hot new technologies such as Virtual Reality create a buzz and can really drive interest in an event. With the prospect of more than 70 new GPs, local practices, and local speakers all together in one place, along with our video equipment already there recording the day, this was a golden opportunity to collect footage and interviews to create a promotional video. 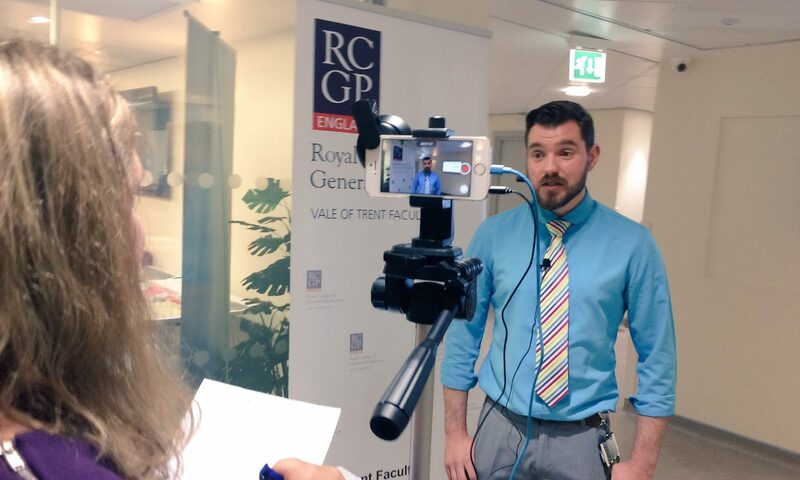 The idea was to produce a video that could be used to promote careers in General Practice, working in the Vale of Trent region, and also the work of the faculty and the value of RCGP membership. Many of the other local GP organisations present on the day, such as CCGs, LMCs and Federations, share our goal to promote working in the area. Providing a video that can also be used by these organisations to advance this shared aim will help us build relationships with our local partners. The event received great feedback from the delegates and practices and we are excited to to see how our website and promotional video are received. We look forward to bringing more innovations at our other events and at Transitions2018. If you have enjoyed our showcase website or videos then please help us reach more people. Please share our site and videos on Facebook, Twitter, by email and also be telling and showing people directly.